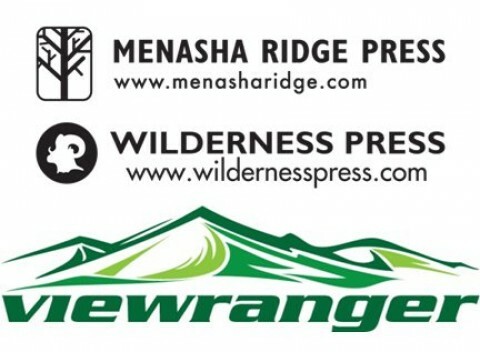 ViewRanger, the award-winning outdoor navigation app, is pleased to announce its partnership with Menasha Ridge/Wilderness Press, a leading publisher of comprehensive outdoor hiking books and maps. ViewRanger, which is owned by software development company, Augmentra Ltd., is a mobile app that turns a smartphone into a powerful Outdoors GPS. It delivers high resolution mapping and trails, waypoint navigation, web-based route planning and location sharing. ViewRanger will bring their guidebooks to life by accessing the expert outdoors content provided by Menasha Ridge/Wilderness Press. Popular trail routes will be available to browse and download onto smartphones and delivered like a guidebook with a map, trail descriptions and advice, and photos of things that users may see along the way. Once users are on a hike or walk, they can see their location over a map and navigate along the route. ViewRanger also gives navigation alerts if you veer too far off course. With a combined publishing history of almost 75 years, Menasha Ridge Press and Wilderness Press are the leading publishers in the outdoor industry. Menasha Ridge Press, established in 1982 and Wilderness Press, established in 1967, focus on outdoor recreation, how-to, wildlife, cooking, travel, and comprehensive maps. With each new release, they continue to set the mark for quality outdoor guidebooks and maps. These award-winning, best-selling books and series are widely recognized for their innovation, authority, and scrupulous attention to detail. Popular series include: 60 Hikes Within 60 Miles. Best Tent Camping, Top Trails, Afoot & Afield, Backpacking, and Canoeing & Kayaking. Find them on the web at www.menasharidge.com and www.wildernesspress.com.